Magistrate Martin has served as a part-time magistrate of the Chillicothe Municipal Court since 1980. Her duties include hearing all Small Claims cases, landlord-tenant matters, proceedings in aid of execution of judgments, civil contempt citations, appeals of Administrative License Suspensions, driving privileges and dangerous dog designation cases. She also hears other civil matters as may be referred by the Judges of the court. 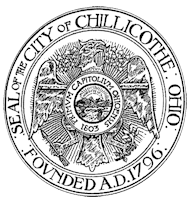 Magistrate Martin has been engaged in the practice of law in Chillicothe since 1978. She served as an Assistant Director of Law from 1978 to 1980, and as an Assistant Prosecuting Attorney for Ross County from 1986 through 1988. Magistrate Martin received a Bachelor of Arts Degree in Political Science from Ohio University in 1975, where she was inducted into Phi Beta Kappa. She received her J.D.from the Ohio State University of Law in 1978. Magistrate Martin has been involved in various civic and charitable organizations, including the Altrusa Club, United Way of Ross County, Good Samaritan Network, Board of Directors of the Chillicothe-Ross Chamber of Commerce, and Board of Trustees of the Adena Health System. She is a member of the Ross County Bar Association where she is a past president, and is a member of the Ohio State Bar Association, and the Ohio Association of Magistrates. She is also a member of the First Presbyterian Church where she has served as an Elder and Trustee and taught Sunday school. She is married to Jeffery K. Martin, O.D. and has two sons.